The Nebraska State Home Builders Association (NSHBA) is a non-profit trade association comprised of five local associations across the state of Nebraska. NSHBA actively works to address issues that are critical to the survival and success of the home building industry. Nebraska State Home Builders is participating in a nationwide member rebate program. This is a state program and is in addition to your NAHB Member Advantage program. It is a free member benefit through your state association. The program is open to all Builder and Remodeler members. Over 50 manufacturers are already on board. Register, submit your rebate claim and receive a rebate check. 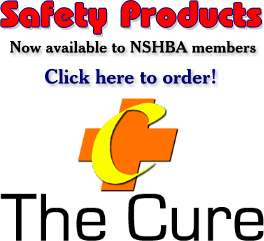 Log on to NSHBArebates.com to register and see what manufacturers are participating. Norbord just launched its second video to celebrate "Thank a Framer" for the second year. This industry is touched by all levels of government, federal, state and local, and the resolution of issues often involves concerted action at two or more levels. Businesses have organized to provide a common voice at all levels. Standing alone, individual businesses are "a voice in the dark." As you join a local home builders association, and the State association, you have joined a local team in your community. In addition, you automatically become a member of the Nebraska State Home Builders Association and of the National Association of Home Builders when you join locally. Instead of just your voice, you become a part of a national team of over 120,000 members who work together to guide and protect our industry. The NSHBA endorses the NAHB Research Center's National Green Building Certification Program as the best green certification option available to its members. National Green Building Certification to the National Green Building Standard is a credible, flexible, and affordable option for all types of residential construction projects. For more information, visit www.NAHBGreen.org. "Helping our clients maintain a safe workplace by providing training and consultation on how to prevent injuries, illnesses, and deaths through OSHA-certified courses." Watch our OSHA page for future training seminars.